A house in the 1900 block of Chamberlain Avenue is one of the many that were tested for lead contaminants in Chattanooga, Tennessee. Several neighborhoods in Chattanooga were added to a list of the United States' most toxic places, which is expected to bring in additional funding for cleanup. The location was photographed Tuesday, Sept. 11, 2018. Updated at 6:47 p.m. on Tuesday, Sept. 11, 2018, with more information. 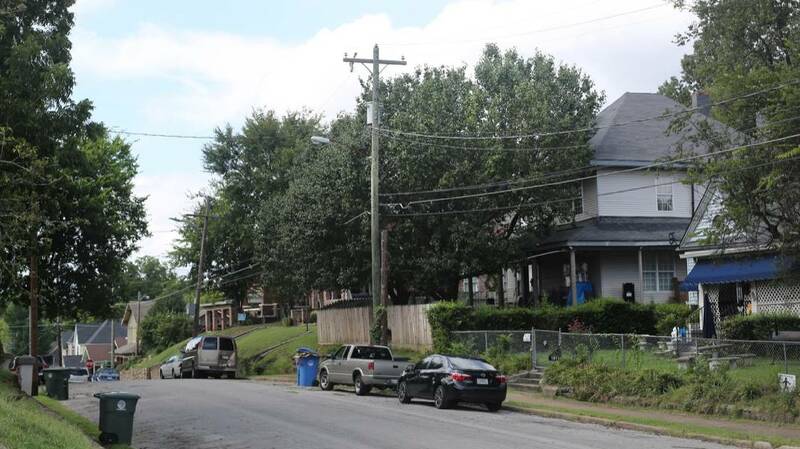 Several Chattanooga neighborhoods have been added to a list of the U.S.'s most toxic places in an expected move that will open additional funding for cleanup. The Southside Chattanooga Lead Site was one of five sites added to the Superfund National Priorities List, according to an announcement Tuesday afternoon from the Environmental Protection Agency. The listing gives the site the agency's highest priority for cleanup. 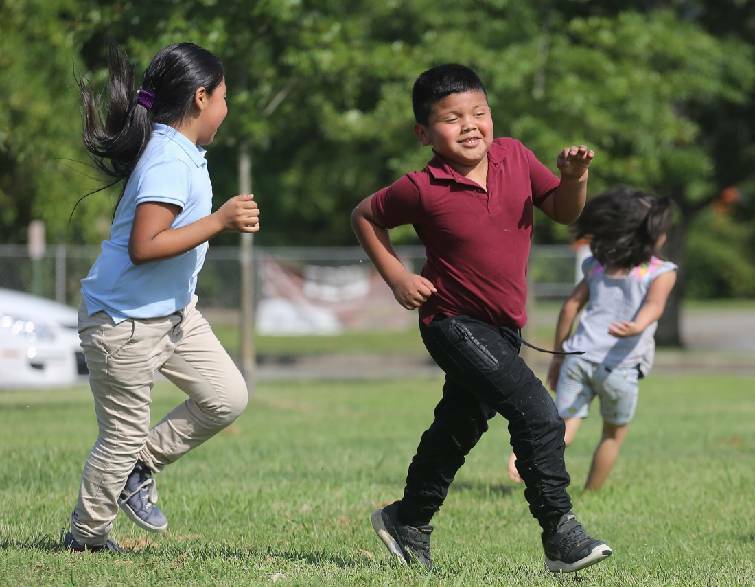 Janet Lopez Perez, 8, Juan Rivera, 7, and Jennifer Gastin, 3, play tag in front of East Side Elementary School along South Lyerly Street Tuesday, Sept. 11, 2018, in Chattanooga, Tennessee. The school is visible from a couple of houses that have been tested for lead contaminants. Properties in Alton Park, Cowart Place, Jefferson Heights, Richmond and Southside Gardens are among those that have been tested for lead contaminants in the soil. "The addition of Southside Chattanooga Lead to the Superfund National Priorities List will ensure it is cleaned up for the benefit of the residents and communities in the affected areas," according to a statement from EPA Regional Administrator Trey Glenn. "These communities become healthier places to live and redevelopment is made possible." The approximate boundaries of the site are Main Street to the north, Broad Street to the west, Chattanooga Creek to the south and Central Avenue to the east, according to the NPL listing, and contain properties in Alton Park, Cowart Place, Jefferson Heights, Richmond and Southside Gardens. The area was home to industrial operations throughout the 20th Century that used toxic material as fill and topsoil. EPA officials held a February meeting to inform residents about ongoing cleanup efforts and listen to concerns — mainly surrounding the EPA's response. At the time, agency representatives committed to remediating properties where children lived that also tested nearly four times higher than the EPA's benchmark for unsafe lead levels. It meant residents without children living in the home — even if they had grandchildren or young family members who visited frequently — weren't eligible for remediation. It also meant families with children living on toxic sites likely weren't eligible for cleanup unless their property tested nearly four times higher than health benchmarks set by the agency. Read the Southside Chattanooga Lead site portion of the EPA National Priorities List. However, that would all change if the site was added to the National Priorities List, officials said at the time. Properties on the list are the only sites eligible to receive federal funding for long-term, permanent cleanup, according to an agency release. "We're not going to have all the funds until we get on the National Priorities List," EPA Region 4 National Priorities List Coordinator Cathy Amoroso said during the February meeting. "Then we will clean up every yard over 360 [parts per million], or whatever the threshold may be. Right now, it is 360. There's a possibility that can change, but it won't be higher, it will be lower." Now, each property with lead readings above the health benchmarks will been remediated if the EPA stands by its February comments. However, the Tuesday release maintained the priority of the project is to protect children "by identifying and cleaning up lead contaminated soil at residential properties and other areas where children may be present." There was no mention whether other properties would be remediated. When called Tuesday, Amoroso said she was not permitted to talk to the press without the supervision of an EPA media representative. A list of questions sent to the EPA communications department was not returned by press time, and a request to interview a representative involved with the project was not fulfilled. Southside Chattanooga Lead Site residents have been frustrated throughout the process. They recently learned about a problem that has existed for decades. Many raised their children to play in their toxic yard and grew gardens. EPA officials assured residents the agency worked as quickly as possible after learning about the problem. However, not all residents were convinced. "My main problem with everything I heard tonight is that it makes no sense that the EPA became aware of this just because someone became ill," Ed Nowicki, who owns property in the area, said at the time. "You had a major industrial area that has historically been an issue for the last 100 years. One would imagine that is a red flag and a possible contamination site." Agency representatives say they learned of contaminated properties in 2011 when a local resident reported lead poisoning. As a result, the EPA removed contaminated soil from 84 properties located on Read Avenue, Mitchell Avenue, Underwood Street (formerly Carr Street) and intersecting streets after a resident reported lead poisoning. 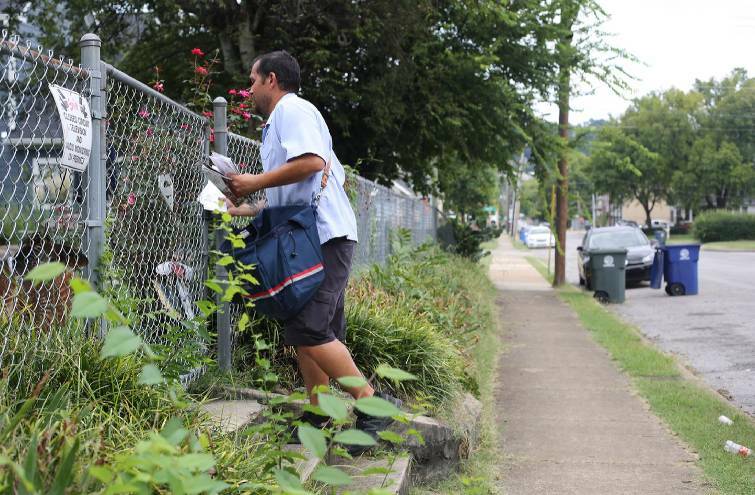 Tim Stephens, a mail carrier with the United States Postal Service, delivers mail to one of the houses along Chamberlain Avenue that have been tested for lead contaminants in Chattanooga, Tennessee. Several houses along the mail route Stephens was taking Tuesday, Sept. 11, 2018 are among the nearly 300 homes that have been tested. Once that project was completed, the agency looked at other sites in the area where unsafe levels of lead may be present. 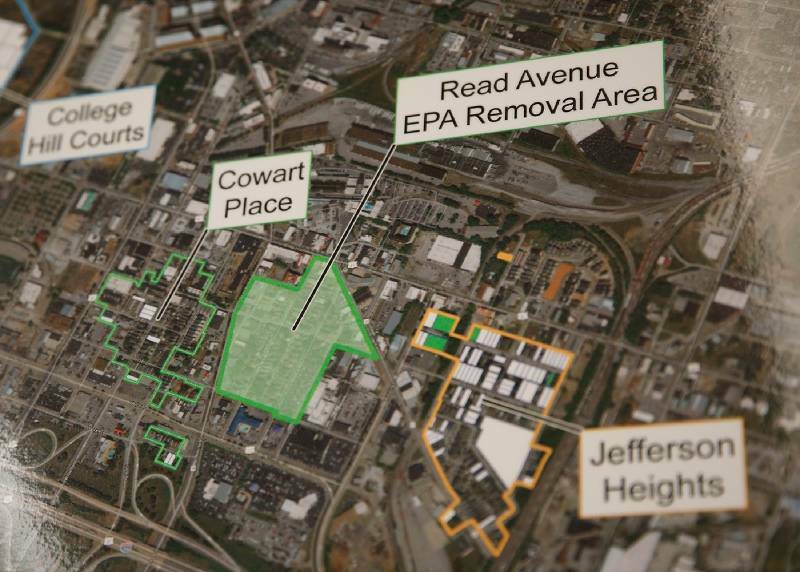 That's when the EPA started testing for elevated lead levels in what became the Southside Chattanooga Lead Site, according to several EPA officials at the February meeting. As of February, more than 300 yards had been tested, and nearly 100 properties were remediated, according to EPA officials. They have not said how many properties in total have tested positive for lead. The Southside Chattanooga Lead Site joins Broadway Street Corridor Groundwater Contamination in Anderson, Indiana; Rockwell International Wheel & Trim in Grenada, Mississippi; Donnelsville Contaminated Aquifer in Donnelsville, Ohio; and Delfasco Forge in Grand Prairie, Texas as the latest addition to the Superfund program's National Priority List. "We are pleased for the city and its residents that an avenue like the National Priorities List exists to clean up this site," Tennessee Department of Environment and Conservation Commissioner Shari Meghreblian said via a statement. "This action will provide the funding and framework needed to get this hazardous material cleaned up and remove the threat to the public. It is absolutely the right thing to do." A rendering shows lead-contaminated areas at a public meeting held by the Environmental Protection Agency at South Chattanooga Recreation Center on Tuesday, Feb. 13, 2018, in Chattanooga, Tenn. The EPA held the meeting to address community concerns about lead pollution in the Southside Chattanooga Lead Site, which includes the Alton Park and Jefferson Heights neighborhoods. 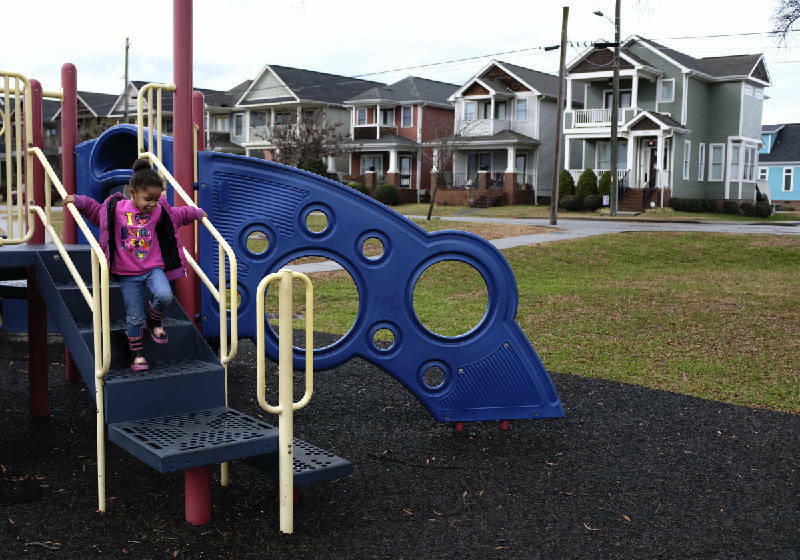 Ma'Kiyah Hodge plays on a playground in the Jefferson Heights neighborhood on Friday, Jan. 12, 2018, in Chattanooga, Tenn. Parts of Jefferson Heights, along with locations in Alton Park, Cowart Place, Richmond and the Southside Gardens neighborhoods, have been proposed as EPA Superfund sites after lead contamination was found in the yards of homes.